I have been struggling with this post since I've gotten back. 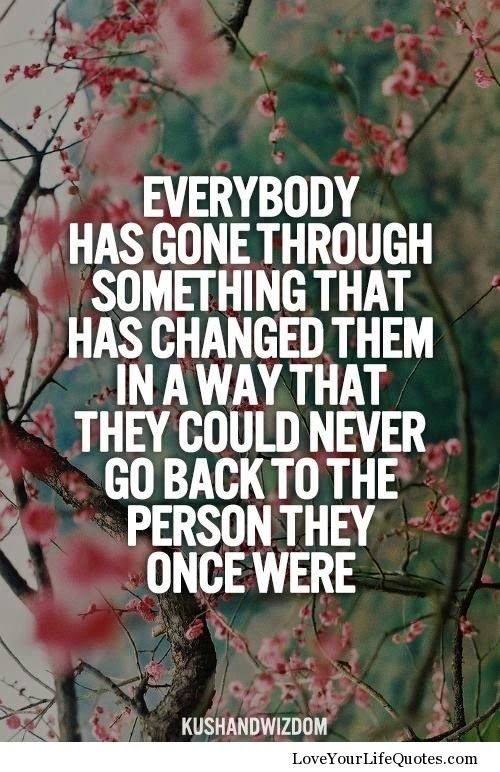 Not because it was a horrible experience. Not because I hated my stay at Fitness Ridge. In fact, it's the opposite. How do I put into words the experiences I had during this week? How can I express how important my stay at Fitness Ridge was for me? How do you explain how something changed your life forever? If you'd like to see what to expect on your first day you can click here. We woke up at 5:50am every morning to get downstairs on time to go on our designated hikes. The first day's hike was fairly mild but I struggled. I saw the van and thought we were done and I really pushed myself to finish strong. Once we reached near the van that's when they told me we were only halfway done. My psyche was rocked. It was then that I realized two things. One, my mind was gonna be a huge game player on this journey so I better get it in check, and two, I needed to get a watch. I'm a planner, I know that about myself. So I knew that if I could kind of track the time I would be able to keep my mind in check throughout the hikes. At the end of the hike when they dropped us off the guide asked me if I felt like I could stay with the group tomorrow since they'd be doing a little more difficult hike. I second guessed myself some but ultimately decided that how would I know if I could or couldn't do it if I didn't try? For the second hike, we went to The Gap. Not the store. It was hands down my favorite. I passionately hated hiking up the ridiculously long hill to get to the top. But all of the rock climbing in between was amazing. I honestly felt that God stepped in and helped me with that hike. I had an experience that I've shared with only a few people, but I know he helped me. I did things on that hike that I never knew I was capable of doing. I learned two things on that hike. Are you noticing a trend? One, I learned I really don't like hiking in groups, I really like to huff and puff on my own thank you very much. And two, I learned that I am capable of doing so much more than I realized. It occurred to me that this week at Fitness Ridge was going to put to rest all of my excuses. Soon I wouldn't have any. For the rest of the week I hiked West Canyon. It was beautiful. I also had an important learning moment there that you can read about here. I missed one hike day, Thursday. I just couldn't do it. I had blisters covering the insides and outsides of both of my feet. I was able to get some rest and was completely ready for the events of the day. When they tell you to wear good shoes and take good care of your feet. They are not messing around. Do it! The food was delicious throughout the week. Chef Sam even taught a class where he shared some of his recipes. I left with some awesome meal ideas and I've only eaten out once since then. I had to stop at Subway on the way home from Fitness Ridge since I was starving and it was a bit of a drive. I made up my mind that I wouldn't stop for fast food. I left there with a taste for healthy food and a love of water, that's all I drink now. The workouts were awesome too! I loved that we were able to have so many different instructors and most of them were workouts that we could bring home to do at home as well. But I must say my favorite part of the entire week was the lectures. They helped open my eyes to so many things. I learned how to make meal planning easy. I learned about my belief windows and a lot of my core values. I learned about how to plan in weekly workouts. I learned the importance of loving myself and accepting my choice. I learned that it really just comes down to math. I loved hearing Sione's story for the motivational lecture. 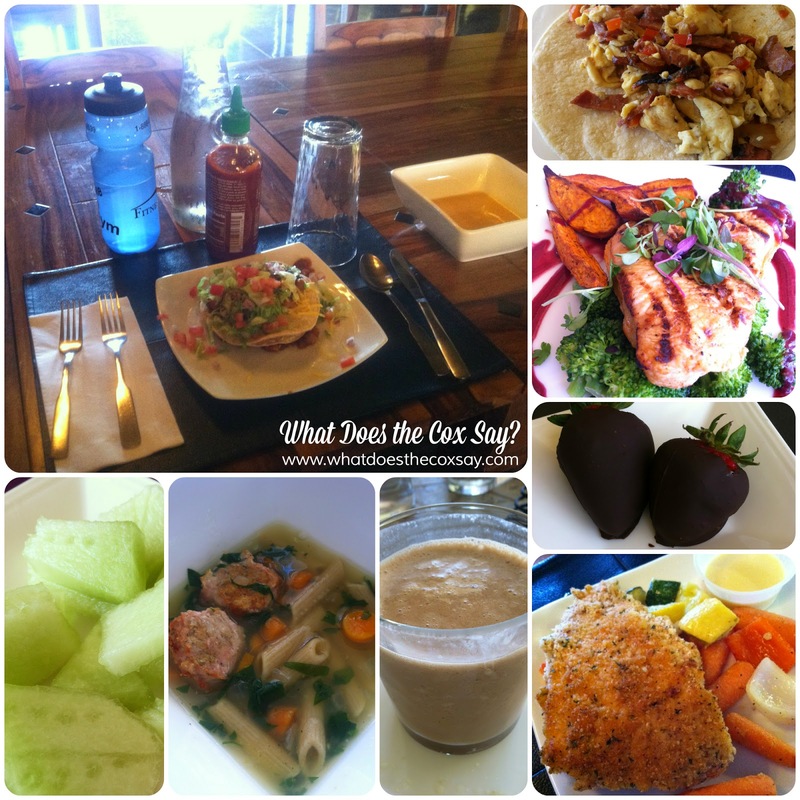 It was so neat for me to learn about my emotional eating, why I do it and different ways to cope. I got in touch with my 9 year old self and I couldn't be happier. My coaching session with their life coach Jen was eye opening and really changed a lot of my core beliefs about myself. The most important thing I learned though, is that I've been making this weight loss journey way too complicated. It's simple. 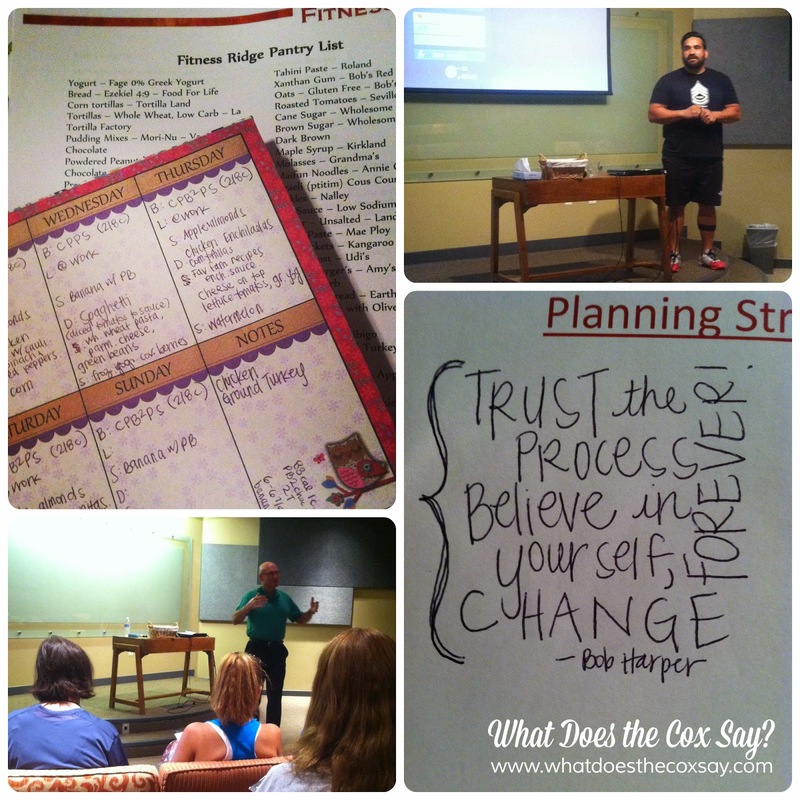 If the lectures were my favorite part, my close second would be the community at Fitness Ridge. I loved the people that I met. I feel like I made some genuine lifelong friends. The support I received there especially from the amazing group of bloggers I was with: Jared, Camille, Diana,Mique and Emily as well as my new friend Lorraine was so helpful. I just loved it there. I can't wait until I have the opportunity to go back! At the end of the week it was time for weigh in. I found myself praying that it would be a number that would motivate me to keep going. I knew it had to be a huge number. 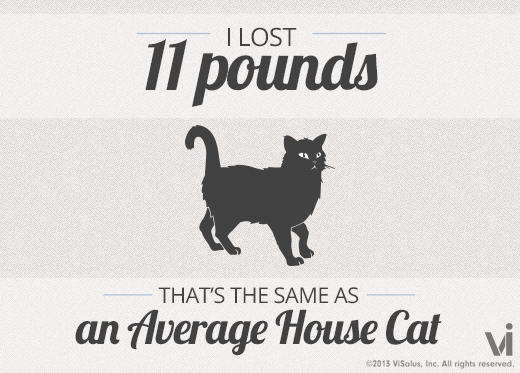 I ended up losing a pound. Talk about messing with my head! I was so disappointed. But I feel like seeing that number on the scale ended up being a blessing. I had to decided then and there whether or not I was going to throw in the towel because it just wasn't worth it, or was I going to commit to this journey whether or not the scale budged. I then set my goal that I wouldn't care us much about the scale, that I would focus on my daily nutrition and fitness and if I focus on both of those things, the scale will move. And it has. Now it's your turn! Are you ready to go and have an amazing experience that will change your life forever? Because Fitness Ridge is willing to give that opportunity to one of you! Enter to win one week at Fitness Ridge! Just complete all of the tasks below for your chance to win. The more you do, the more chances that you have to win! What an amazing journey! I've loved watching your progress! Thanks for the chance to win!